Time Frame 15 min or 30min. Profit Target 8-15 pip 15 min Time Frame, 12-18 pips 30 min Time Frame. 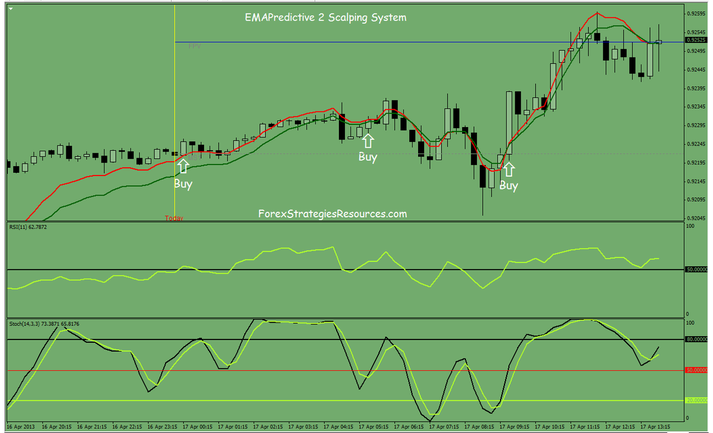 In the pictures below EMA Predictive 2 Scalping System in action. 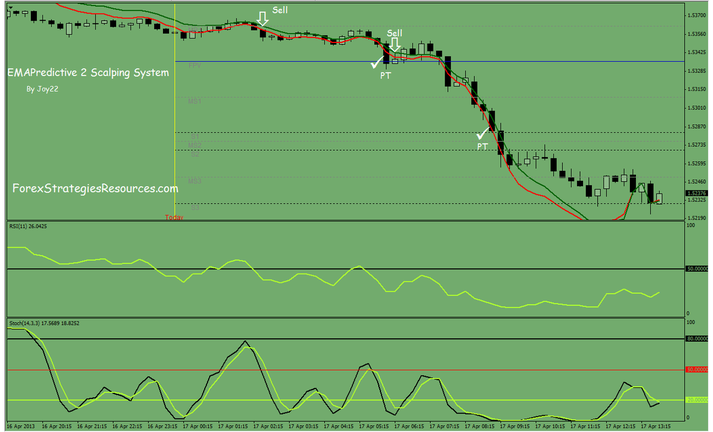 Trading System with Ema Predictive. Ema predictive is an indicator very strong!! For forex strategies tren following. Excellent system, patience pays off with this one. Thank you!